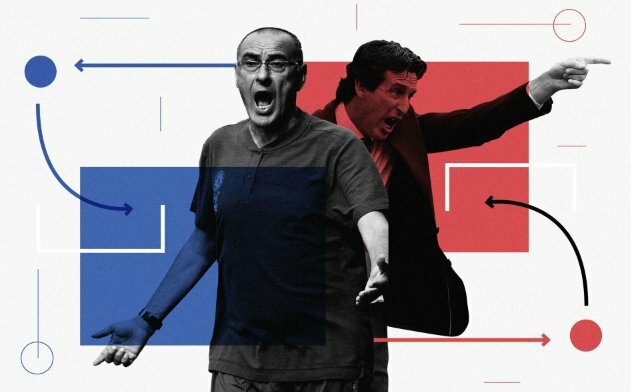 Chelsea have now played six games under Maurizio Sarri, and his team is starting to take shape. Players have returned from holidays, signings have been made, and work on the training ground is gradually kicking in as the players suffer through weeks of double sessions. We’ve seen plenty of them in action, but it’s only now that we can begin to draw conclusions. The preseason games had half of the team missing, and the players on the pitch only just starting to find their feet. The first proper test was against Manchester City, one of the strongest and richest sides in world football. We were roundly beaten, but you can’t read too much into that. Conversely the game last weekend against Huddersfield saw us come up against an extremely weak side. You can’t read too much into our win there either. Finally, this weekend, with another week of training and his first XI available, we play Arsenal. This is the real litmus test, against a team at a similar level in a similar stage of development.